I have suffered from chronic hair loss since the age of 23. Giving birth in my late 20s, and again in my early 30s did not help the cause - in fact, it worsened it considerably. I am now 36, and I would honestly say it took me the best part of a decade to settle on a treatment routine that actually works. I have tried more hair loss treatments than most people have had hot dinners, and for years, nothing helped. To say I felt demoralised would be an understatement. I tried pretty much everything from medically approved drugs, to laser combs and other odd devices that I purchased from places as far out as China. You could say my hair was something of an obsession, and I guess in many ways, it still is. The strange thing is, I always had very thick hair as a child, and even throughout my teens. My hair was always the envy of my classmates, and I guess I felt kind of proud to have such great looking locks. The problem is, once I started noticing my hair going thin, it made it much harder and more confusing to deal with. I went to see a specialist, and he confirmed this was a case of female pattern baldness. If I'm honest, I really wasn't aware that women could suffer from baldness, especially at such a young age. I was only in my early 20s, and my hair was thinning dramatically. The specialist recommended Minoxidil - medically approved treatment for baldness. 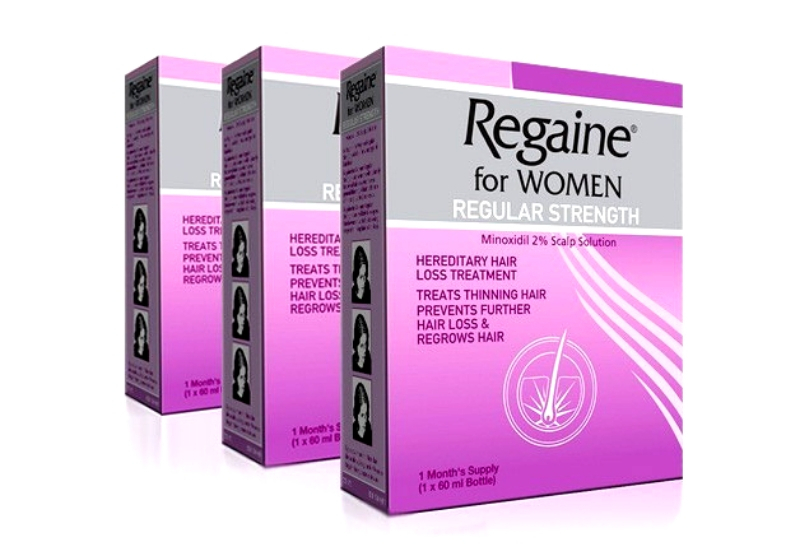 I went for the 2% Regaine (above) women's solution, and used it for around two years. 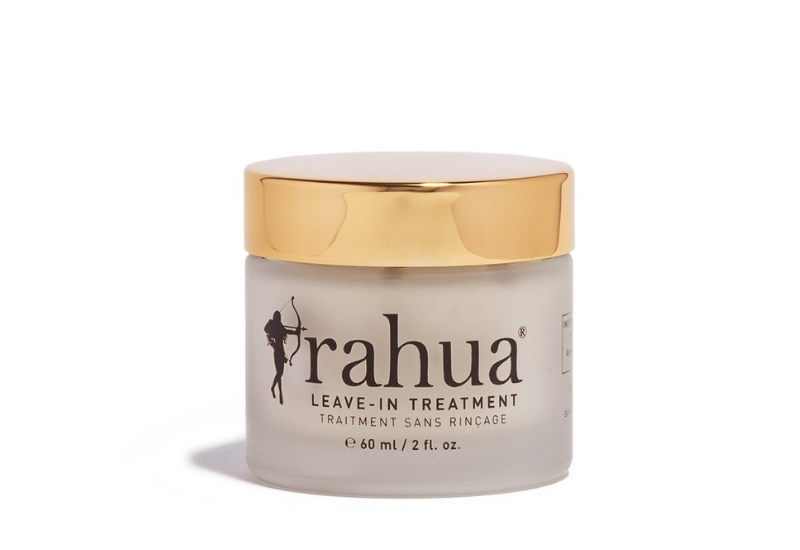 I started shedding quite badly after the first few weeks of using it, but I was assured that this was a normal process, and that it would stop once my body had 'become familiar' the treatment. This proved to be the case, and after a few weeks my hair stopped shedding. Anyway, to cut a very long story short, I was left quite disappointed with the Minoxidil solution, and after the two years was up, I decided to look for and try other treatments that were available on the market. After countless treatments and hair care products, I have now settled on a hair care routine that has helped minimise the amount of hair I lose, and support healthier, thicker, and stronger hair growth. 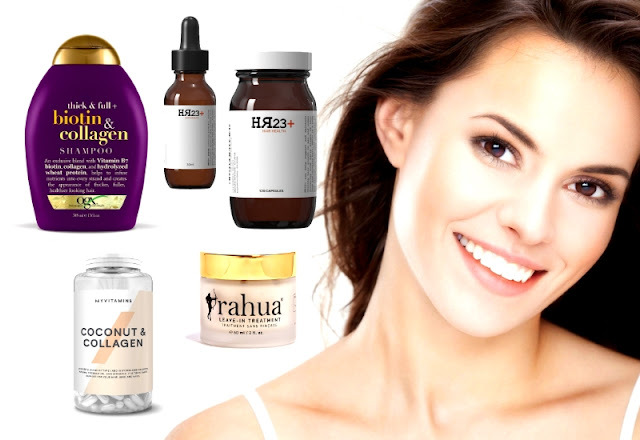 I did try a variety of hair vitamins and supplements over the years, and although some worked better than others, I was never fully happy with any of them - that's until I came across HR23+. HR23+ is a multi-vitamin hair health supplement, just like the well known Viviscal supplement (which I also tried), and it is designed specifically for hair loss. I can't praise this supplement highly enough. I started seeing results after just a few weeks of using it, and it has done absolute wonders for my hair. I can honestly say, hand on heart, that HR23+ has been the main reason my hair has improved tenfold! I have been using this product for about three years, and I continue to be amazed by the results. Having been left disappointed with so many topical serums and foams, I actually stopped using them completely for a good while. 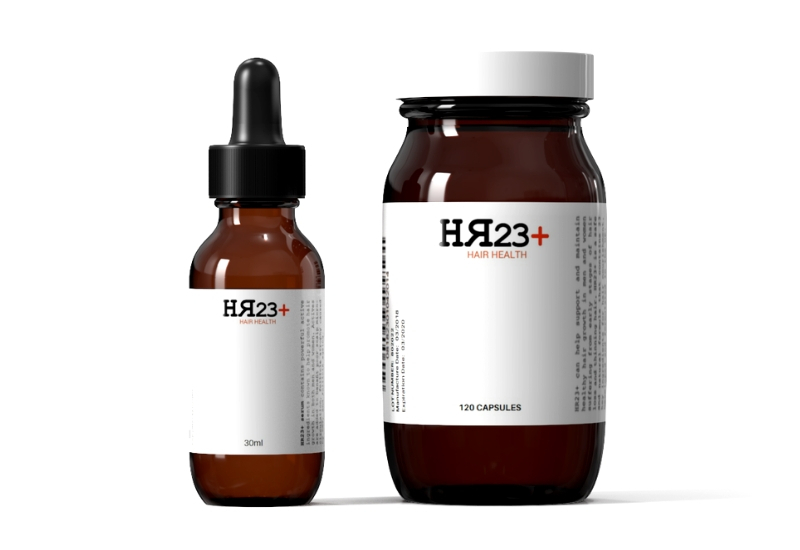 But, having been so impressed with HR23+ supplement, I decided to give the serum a try. I would honestly say it has helped reduce the amount of hair fall, particularly around the top of my scalp, around the centre parting area, but it's hard to judge its exact effectiveness, because I have always taken it with the supplement. Either way, I am happy with it and will continue to use. I always felt my hair needed some sort of protection, especially during the shedding season. 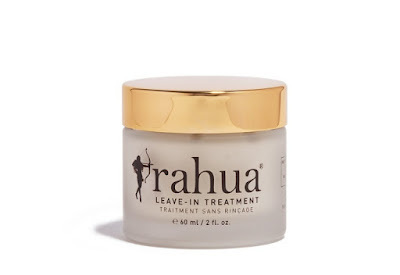 So, I looked into hair protein creams and leave-in masks, and I finally settled on the Rahua Leave-In Treatment. This isn't a magic cure for baldness, but it has certainly helped protect my hair from breakage and damage. Hair breakage and damage is common in all women. The problem is, if you already have thin hair like me, then suffering from hair damage is the last thing you want. 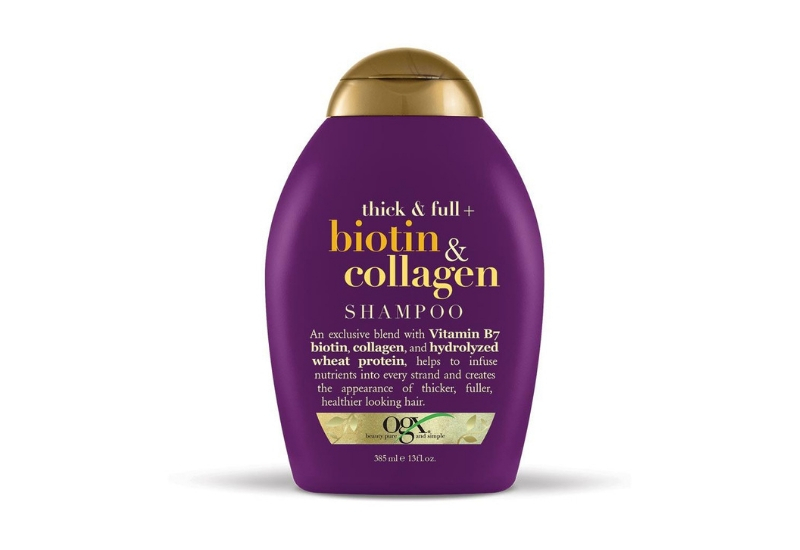 In its most fragile state, I use this treatment, and to be fair, it has helped protect my hair from breakage and damage. I use it as a 'side-kick' to the more potent treatments, and so it serves its purpose. 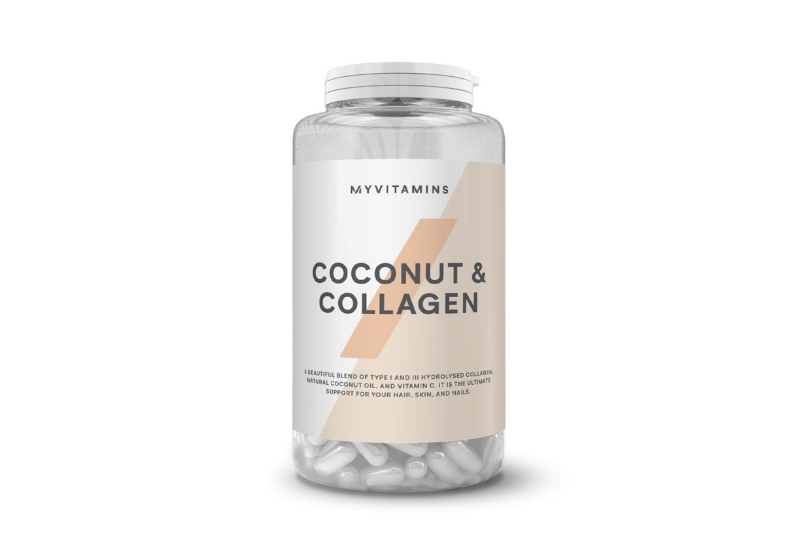 I have always taken supplements for my skin, and the Coconut & Collagen by MyVitamins is definitely one of my favourites. For some reason, the addition of collagen seems to work well for my hair, particularly in conjunction with the other supplement I take. I came to realise that the health of the skin on the scalp actually plays a key role in the health of the hair. So, the better and more nourished your skin is, the better position your hair will be to grow. It's an interesting theory, and one that seems to make a lot of sense in my case. Picking the right shampoo for my hair was a long process. In fact, it took me a good few years until I settled on OGX Biotin & Collagen shampoo. There are no clinical studies that suggest shampoos can treat any type of baldness, of which I have always been aware of. However, shampoos can benefit your hair in many ways. This shampoo has been a revelation for me. The moment I started using it, I just knew I had found my perfect match. It lathers beautifully, and helps thicken the appearance of my locks. My hair feels and looks stronger. I use this about three to four times a week, and what's more, it is only about £6 to purchase. I should note that I only use this shampoo. I do not use any type of conditioner on my hair. Conditioners leave my hair very thin looking, which I always try to avoid, so I have completely scrapped them from my hair care routine.